Senator Jeff Sessions said that he will not commit to state laws regarding cannabis use, indicating that he could favor federal intervention. Senator Jeff Sessions (R-Ala.) said at his Senate confirmation hearing for Attorney General on Tuesday that he would not commit to adhering to state laws regarding cannabis use, indicating that he could favor federal intervention in states that have legalized the substance for recreational or medicinal use. Sessions sounded a more cautious note on cannabis policy than he has in the past, refusing to fully endorse federal law on the matter. When asked by Sen. Mike Lee (R-Utah) if the Justice Department under his stewardship would observe state laws allowing for recreational or medicinal cannabis use, the junior senator from Alabama was noncommittal. Sessions also indicated that he was not opposed to many of the cannabis-related guidelines authored during the Obama administration, including that which essentially signaled that the federal government would look the other way regarding policies that loosened cannabis laws at the state level. I think some of [the Obama-era regulations] are truly valuable in evaluating cases… Using good judgment about how to handle these cases will be a responsibility of mine. I know it won’t be an easy decision, but I will try to do my duty in a fair and just way. Sessions’ testimony garnered mixed reviews from cannabis activists and observers. Robert Capecchi, the director of federal policies for the MPP, offered praise for Sessions’ testimony, which he said could have gone much further in both condemning cannabis use and in promising action by law enforcement. It is notable that Sen. Sessions chose not to commit to vigorously enforcing federal prohibition laws in states that have reformed their marijuana laws. He also recognized that enforcing federal marijuana laws would be dependent upon the availability of resources, the scarcity of which poses a problem. Sessions’ statements were also met with muted praise from Marijuana Majority Chairman Tom Angell, who nonetheless called for more light to be shone on Sessions’ views regarding cannabis. It’s a good sign that Sen. Sessions seemed open to keeping the Obama guidelines, if maybe with a little stricter enforcement of their restrictions… The truth is, his answer was skillfully evasive, and I hope other senators continue to press for more clarity. Despite the praise from some quarters, the positive feelings about Sessions’ testimony was hardly universal. Bill Piper, the senior director of the Drug Policy Alliance’s Office of National Affairs, attacked Sessions’ statements as being “wishy-washy at best” and lamented what he saw as clear indications from Sessions that the nominee would enforce federal cannabis laws. 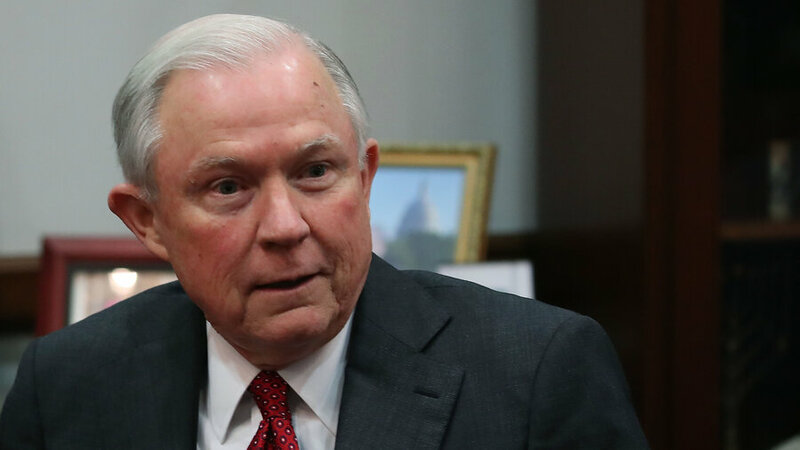 Sessions has come under fire in the past for controversial statements regarding cannabis use, including one instance in which he suggested that “good people” did not use the substance for recreational purposes.